Are you looking for the motivation to get started on a new fitness routine? Do you want to learn the steps to sticking to a program and seeing actual results? 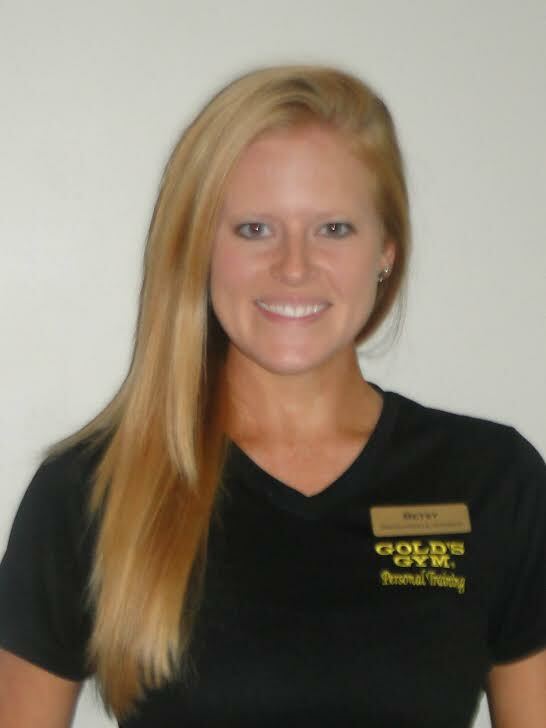 Our very own Gold’s Gym Personal Trainers have 10 tips to get you started on your journey today! Studies have shown that those who wake up early in the morning have more energy and are more productive, happier people than those who sleep late into the morning. Start your day off with a positive thought BEFORE your feet even hit the floor! Put quality fuel in your body! Don’t begin your day by eating a heavy, fast food breakfast. Keep it light and nutritious! The better your breakfast decision, the more likely you are to continue eating great throughout the day. Your body needs healthy foods to give you energy! Make a list of obtainable goals! Don’t set yourself up to fail from the beginning by setting goals too far out of your reach. Start off with making small goals that can be met by making small changes, in short periods of time. •Athletic/closed toe shoes with good support for your arches and ankles. •Clothing that isn’t too tight or too loose. You want to be comfortable in your workout clothes! •A towel for sweat absorption. •A yoga mat for any floor exercises. Guess what? There is no wrong music! Choose the kind that will get you in the groove of your workout. Grab your headphones and get in your zone! Workout/Food Journal is a must! Writing down what you eat each day will keep you accountable about the nutrients (or lack thereof) you are putting into your body. You may think you aren’t overeating, but looking back over your journal entries for the day may send you spiraling down into a harsh reality. The same goes for keep track of your workouts. Take note of the amount of weight that you use and the number of repetitions you do in your exercises. Doing this will help you see how well you are advancing through your workouts! A good night of sleep! A good night of sleep is one of the most important parts of a healthy lifestyle. If you stay up late at night, you aren’t doing your body any favors. Get your rest so that you can wake up refreshed and your body can work on recovering. You might be surprised to learn that those who have a partner that they routinely workout with are more likely to exceed their fitness goals! This can be a family member, friend, or a new gym acquaintance. Having a fitness partner makes working out much more like a hangout session with a friend as opposed to a lonely mandatory sweat session! Understand that the new you is just around the corner! Don’t give up! The most common reason people quit their exercise programs early on is because they feel like they aren’t seeing results quick enough. Remember that it took time for you to get yourself to the place you are now; that means that it will absolutely take time and effort to get you to the best you possible. That is OK! Put in the work and you won’t ever want to look back. Old you will be a thing of the past!